Whether you’ve recently assumed the role of caregiver or have dutifully carried the badge for many years, we want you to know that you are never alone. 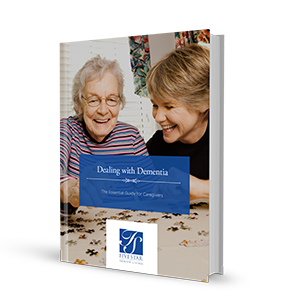 In “Dealing with Dementia,” we address essential and important questions so that you can feel confident as you care for your loved one. Fill out the form and join the hundreds of caregivers who have received their free ebook. Copyright 2019 Five Star Senior Living. All Rights Reserved.